This is a knockout shot that taste great but has a heavy weight punch. Be careful and don’t drink and drive with this one. This is likely a good combination, but be careful who you get your recipes from. this cat calls this a “shot” but details 2.5 ounces of liquor. The classic old-timey shot glass is 1 oz, period. The shot glass you may have seen with the white line around it, is 1 oz up to the line and about 2/10 oz additional above that, for a total of 1.2oz. 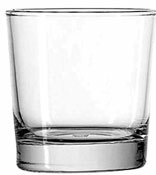 the larger “shot” glasses you may have seen are max 2.5oz capacity. With all the liquor and the splashes and dashes that this recipe calls for, this sounds like a strong but girly cocktail best served over ice in a rocks glass (4.5oz).